Isn’t it refreshing to see an unconventional wedding palette? 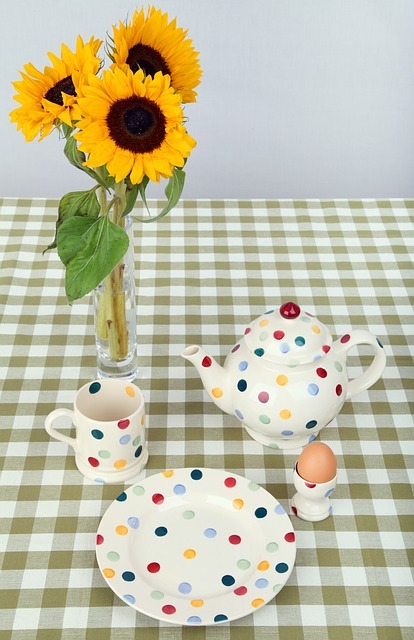 Perfect for the casual wedding theme, polka dots are a pattern that can liven up any atmosphere. Whether it is done in just two colors or a variation of several colors, it is always a fun choice that we cannot, but love. And for brides who can’t convince their to-be-husbands that polka dots is the way to go for your wedding, you can still enjoy your love affair with this mesmerizing pattern by having a polka-dot studded bridal shower or engagement party. So, here is a collection of 10 fantastic polka dot ideas to inspire the quirky bride, whether it is for her wedding or any of the events leading up to it. Get ready to swoon! Choose a contrasting combination of colors for a polka dot wedding cake like that featured in the picture here. 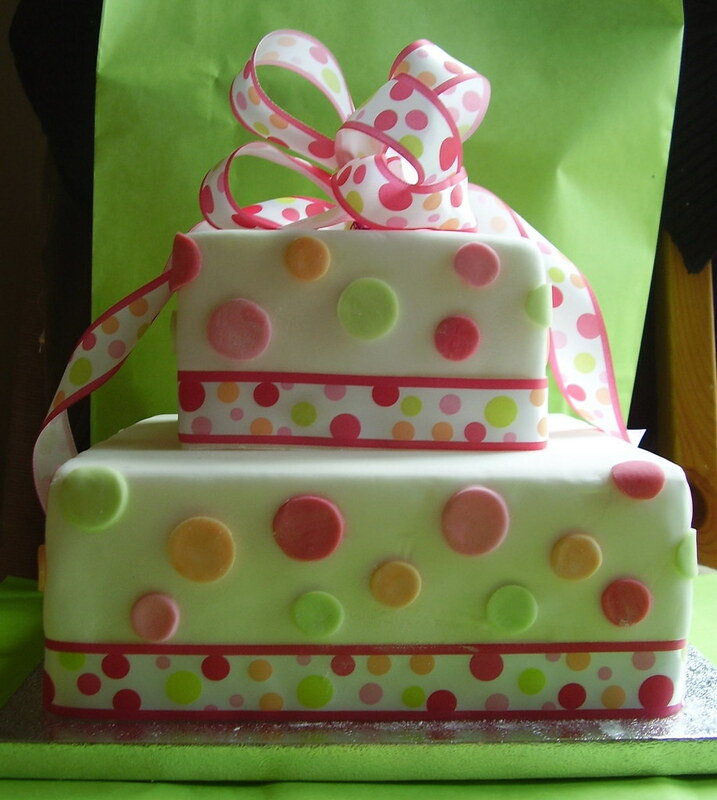 Look at how the assorted polka dot colors frame the white frosting elegantly? Matching the polka dot colors on the cake to the design on the ribbon that decorates the cake, instantly adds more style to it. Resembling a gift box, the best part about this cake is that it isn’t too complex to create, but has an unusually interesting overall finish. So, if you are after a budget friendly option, this design is one to consider. Dessert buffets may no longer be as popular as they once were, but if you have one at your polka dot theme wedding, these fun spotted cupcakes are a must-have. The design is so simple, yet unusual, and we are sure your baker will be able to whip them up for little to no cost. 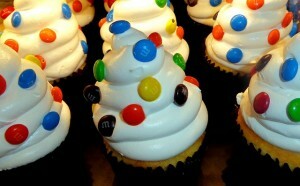 Despite all this, the impact of the m&m studded cupcakes will be mind-blowing. If you aren’t up for this idea at your wedding, it will certainly work out for your colorful bridal shower on the polka dot theme. What do you say? 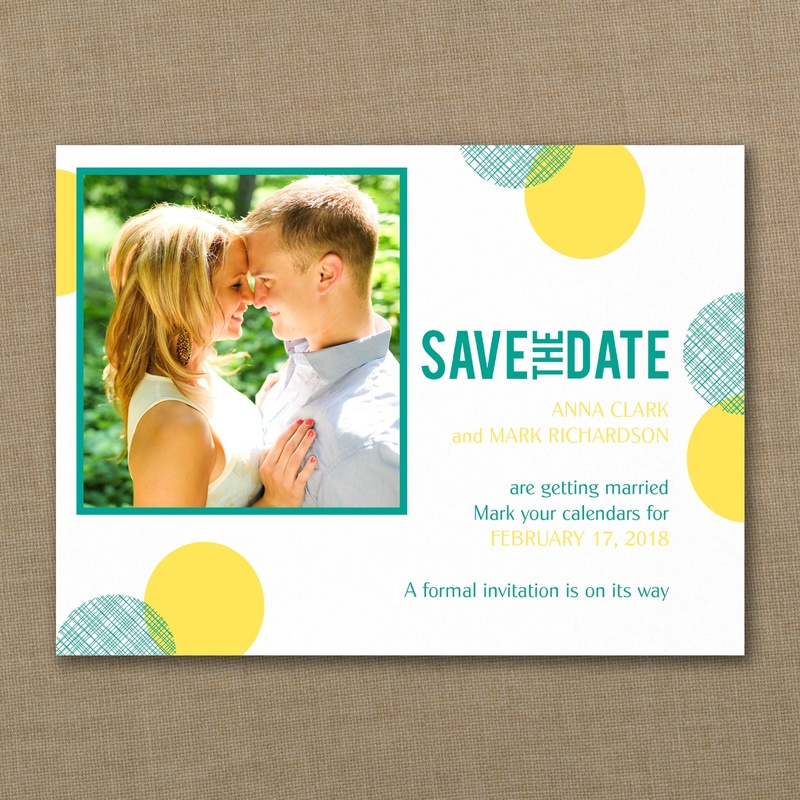 In an interesting twist to the polka dot style, this spot and check polka dot save-the-date photo card will be an instant hit with your guests. This design features emerald and canary ink colors to create the exciting combination featured here. However, you may make your pick from the many colors available to suit your wedding color palette, and you will have a save-the-date that is high on style and impact, and attractive at first sight. Follow up with a matching RSVP card and a wedding invite in the same colors as this invitation card, and find respite for your obsession with polka dots. This save-the-date card can be ordered online from our collection at Best for Bride. To do so, or to take a look at the hundreds of other attractive options we offer, check out this link. 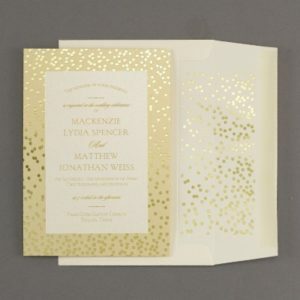 If you are a bride who loves bling, here is a wedding invitation that is a charming representation of dots with plenty of the “bling” factor. While the invitation wording is done on white, it is framed elegantly within a golden polka dot and textured gold border. The best part of this design is that the beautiful golden dots follows through the invitation into the envelope, creating a charming overall effect. With golden lettering as well, this is a rich and luxurious choice that your guests simply cannot miss noticing. To place your order or to find out more details about this wedding invitation card, visit our wedding invitation collection at this link. Here is an accessory that will blend into a polka dot theme bridal shower seamlessly. 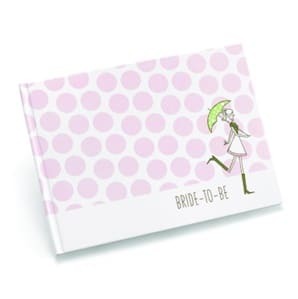 This pink and white polka dot bridal shower guest book features a modern bride-to-be illustration that is simply adorable. With the space to hold up to 55 guest signatures, it will easily be enough for all the guests at the shower. It will also be a pretty keepsake that will always remind you of the interesting party you celebrated with your favorite girls. To find out more details about this guest book, or to order it for your celebration, take a look at this link. 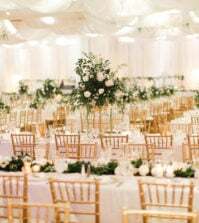 If you are bold enough to side-step the conventional wedding day colors and patterns for polka dots, you would most likely be open to the idea of a wedding brunch instead of the usual reception. Not only is this budget-friendly, there are a whole set of other reasons too, that make the idea attractive. Read all about why you should consider having a wedding brunch, in this previous post of ours. If you like this idea, think of using polka dot china to serve your delicious breakfast menu in. If it is an outdoor wedding brunch, it will simply add oodles of color to the overall setting, and make the party more lively. In case this isn’t possible we have other suggestions to make your tablescape work. 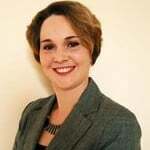 Nevertheless, this is an option that you should consider, as it is a definite winner. If the idea of the spotted china is out of reach, turn to the next best thing instead. Go all the way with a table cloth decorated with dots, or do it in moderate doses with polka dot table napkins instead. We prefer the latter, as it makes the polka dot effect more elegant and sophisticated. This is also your chance to add some glitter and glamor to your reception tables, but with subtlety. Golden polka dots on a solid color napkin would look classy, while still keeping the fun theme alive at your party. 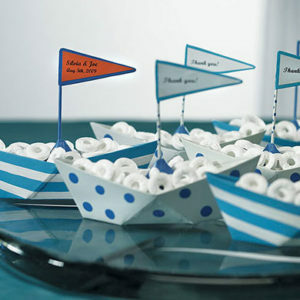 Here is the perfect polka dot favor for those couples who want something that matches a nautical theme. While the groom enjoys his share of fun with a sailing or ocean theme, you can add a soft touch of your own with this as a display accessory at your wedding reception. These quaint blue and white polka dot metal boats can do double duty as both a thematic place setting, and as a favor for the guests to take home after the party. Stuff it with mints or candy and personalize it with a thank you note on the flag, and you have a wonderful favor that your guests will love. For more details on this product, check out our wedding favors page here. The simplest way to add dotted details to your favor table is to use polka dot inserts in cellophane bags, like shown here. The simple addition of these economically priced bag inserts can liven up a plain cellophane bag and make it a work of art. With custom options to choose from four different colors, these favor inserts are a perfect addition to any color palette. It can also be your little polka dot detail, if you don’t want polka dots ruling the entire wedding scenery. With such a pretty cover to carry candy off the dessert spread, your guests will love your attention to detail. Whichever color you choose for the spots, this will add a welcome dose of color to your desert table and really make it pop. You can also add a small bit of information and a thank you message on the insert to complete the look. For more details on placing your order and the various colors that this item is available in, please visit our online shop by clicking this link. 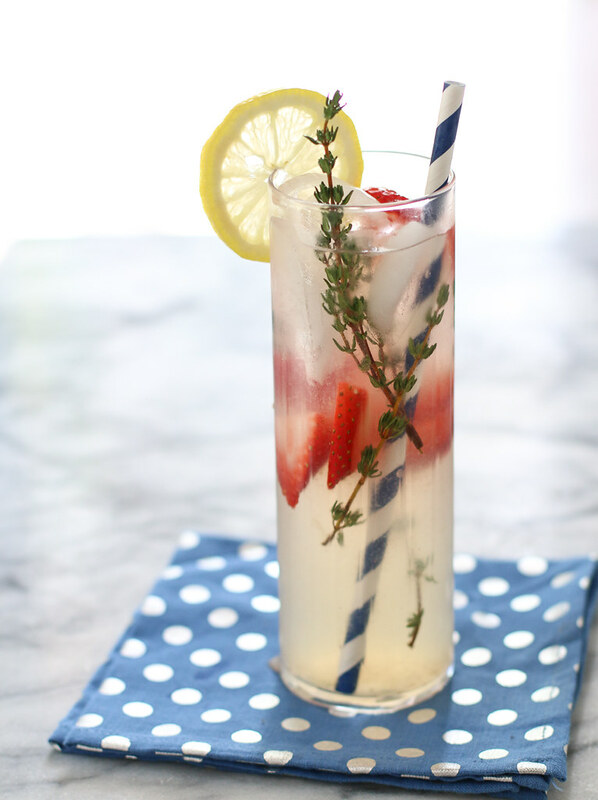 You can also use matching polka dot straws for the beverages at your party. Whether you choose to serve these straws by themselves, or with little flags, their presence will not go unnoticed. This will allow you to mix and match the details, and still achieve a cohesive effect that your guests will not miss. Polka dots may not be standard bridesmaid stuff, which is what makes it so much fun. It is an easy, and obvious way of adding your favorite detail into your wedding day and making it totally unique. Your bridesmaids will be happy to buy a dress that they can definitely use again, and you have a world of options to choose from. If you have your mind set on an outdoor spring or summer wedding, bridesmaids dresses such as that shown here will be a pleasant addition to the overall picture. This dress also has a vintage charm with the puff sleeves and bigger and bolder dots on the fabric. With bright colors like pink, turquoise or orange appearing on a white or cream background, the entire atmosphere will resonate with fun and joy. As interesting as this idea is, remember not to take the detail overboard. Balance out the polka dots with suitable addition of a solid color, that blends well into the overall picture. Also remember that it may not be a great idea to go with full-length gowns, as it can look overwhelming. Stick with cocktail length dresses instead. You can also think of matching the bridesmaids accessories to the color of the polka dots. 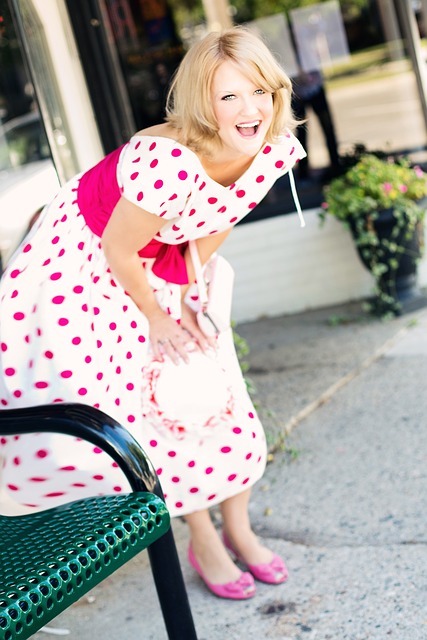 Wearing a polka dot wedding dress may be stretching the theme a little too much. However, this doesn’t mean that you shouldn’t have any thing dotty on yourself. Surprise your guests with your own unique polka dot detail, through your wedding day manicure. Polka dot nails look fantastic, and having this done will easily make it a fashion statement on your wedding day. The options are endless, as you can choose any possible base color and polka dots in any color, so it blends into your wedding theme. Our favorite combinations include white with black dots and black dots on gold. You can choose to keep it simple with just a border of polkas at the nail base or on the end of the nails. The other option is to keep it uniform and have it all over your nails. You can also try add polka dots of different sizes and in mixed colors, for more impact. It will be a delightful addition, either way. Make sure that you have your manicure done closer to the wedding day, so that your nails look fresh and the dots are details that are obvious and attractive. To keep your décor interesting, but not overwhelming, choose décor elements that bring in the effect softly. Accessories and charms like this adorable little procelain gnome featured here, can achieve this effect perfectly. Although the polka dot effect is seen only on his hat, it is still striking and just enough to make it significant in any setting. 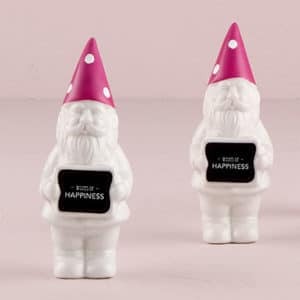 Place him as part of the centerpieces at your venue, or gift him as a party favor that carries a good wish to the bearer, and it will be a gift that everyone will appreciate. It is possible to customize the message he carries to one that you choose. For more details, visit this link at Best for bride. Hope this has given you enough inspiration to plan your wedding with this ever-trendy and interesting detail. 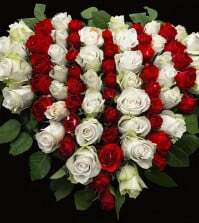 For more interesting ideas and everything wedding-related, keep dropping in at Best for Bride. Beginning with wedding dresses, accessories and bridal party attires, we bring you all that you need for planning the perfect wedding day. We also bring you interesting ideas, latest trends and fabulous pictures from real weddings to inspire you as you begin to plan the most special day of your life. Join us to explore all that the world of weddings has to offer you. The polka dot manicure is a great idea! Polka dots are really not a wedding thing, right? I like the idea of doing something a little different, but never really thought about polka dots. 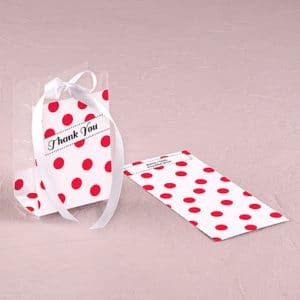 These are great for inspiration, I just do not have enough confidence that I am going to like the outcome with polka dots. Something to think about, however. Polka dots are so awesome and I really did not think about that design when thinking about my wedding. If someone was going to throw a 50’s style wedding, this would be the perfect touch!